Barbour Lifestyle Royston Jacket, In Archive Olive. 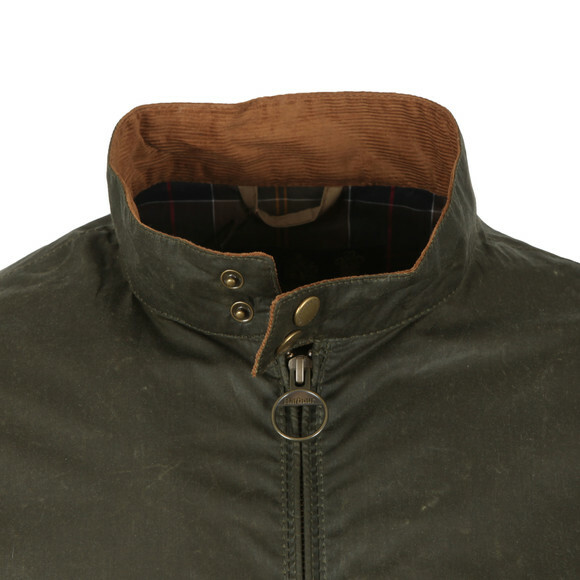 Cut to s streamlined fit, this Harrington jacket is crafted using a special blend of waxes and oils to provide a high level of protection from wind and rain with 30% less weight than traditional waxed cotton jackets. 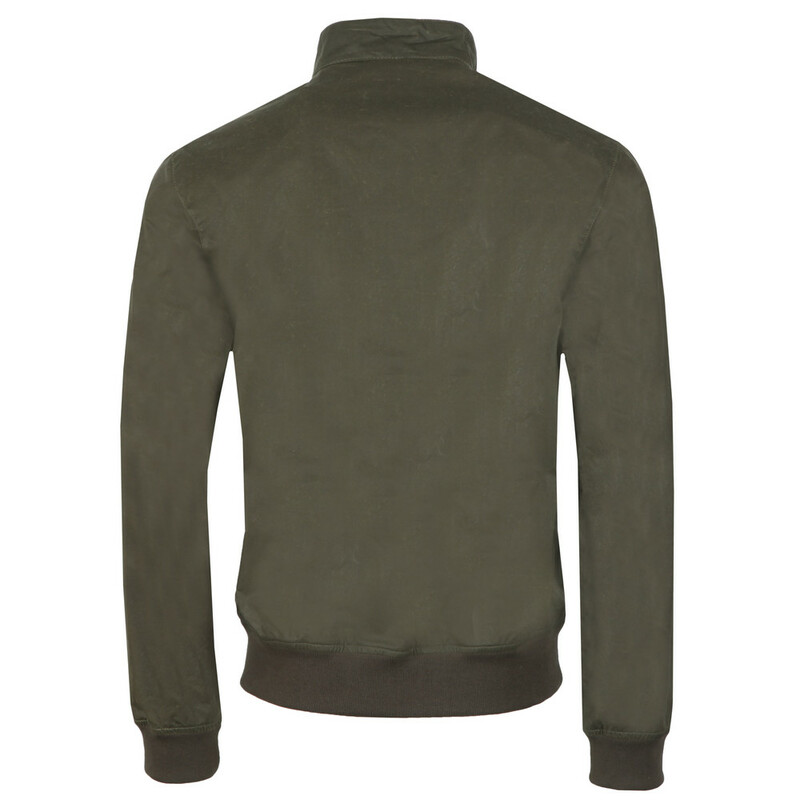 Two-way front zip fastens through to a stand collar with needlecord at the inside for soft feel, while cotton ribbing at the hem and cuff creates an authentic, sporty look.